Eve is heartbroken after discovering her fiance is cheating on her. 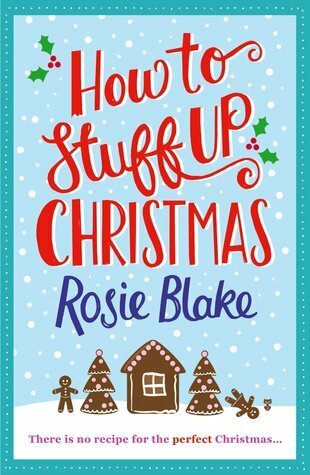 Being surrounded by the joys of Christmas is more than Eve can bear, so she chooses to avoid the festivities by spending Christmas alone on a houseboat in Pangbourne. Eve gets an unexpected seasonal surprise when handsome local vet Greg comes to her rescue one day, and continues to visit Eve's boat on a mission to transform her from Kitchen Disaster Zone to Culinary Queen. But where does Greg keep disappearing to? What does Eve's best friend Daisy know that she isn't telling? And why is there an angry goose stalking Eve's boat? A story about Evie, whose boyfriend cheated on her, xmas is coming up and she just wants to get away. I get that, everything in town reminds her of him, and xmas with family, no. And he was such an asshat with wanting the dog back too. Good riddance I say, good riddance. Evie gets her passion back, and with that I mean, she starts to draw again and takes a pottery class. Oh and she obviously meets a cute guy. Each chapter also starts with a recipe, yum, I always like that. Friendship, romance and food. What is there not to love. This sounds cute for the holidays! it's always nice to have a good christmas story! Sounds cute! I usually read more holiday romances than I've gotten around to this year. If I broke up with DH there would be a legal battle over the dog. This looks really cute. Cute! I think I'd prolly love...*cough*...think he was cute too. This sounds kind of like the xmas rom-com, The Holiday! Very cute premise. Cheating on your fiancee at Christmas time? Tsk tsk tsk. What a cad. I'd probably be too mad at the guy and be too sad for the girl to progress that far in this story. And he went for the dog? double douchecake! Glad she got her groove back with her hobbies and a little romance. Cute! Food and books? Yes! A good friend of mine divorced a few years ago and ended up in a custody battle over the dog. This one looks really good. I love that she finally got her groove back. I get that, if BF and I broke up the battle of the cat would begin. The thing here is that he just left and weeks later he wants the dog, no! Sounds good! Thanks for the review!